NIGERIAN Customs officials have rejected a $400,000 bribe, the national police spokesperson wrote on Twitter on Friday. 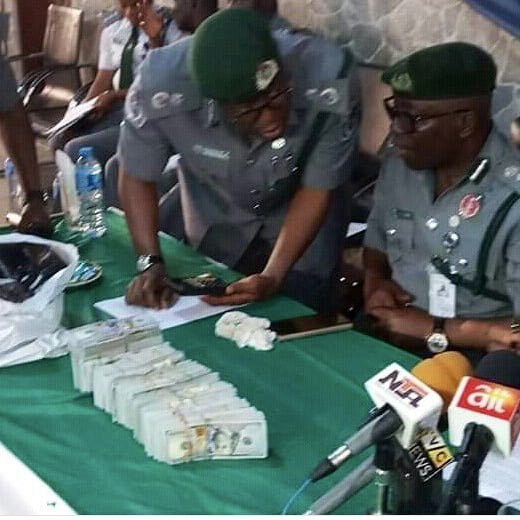 According to Abayomi Shogunle, the officials at the Apapa Command of Customs in Lagos rejected the dollar bribe from an importer who wanted to clear a container of Tramadol. Apapa is an area in Nigeria’s commercial capital, Lagos. It is located to the west of Lagos Island. Apapa contains a number of ports and terminals operated by the Nigerian Ports Authority, including the major port of Lagos State and Lagos Port Complex. Tramadol is a pharmaceutical product prohibited under Nigerian laws. The abuse of Tramadol is known to have dire health consequences among the population. Already, Nigeria has banned the manufacture and importation of codeine. The Ministry of Health in May 2018 directed the National Agency for Food and Drug Administration and Control (NAFDAC) to immediately cease the importation of codeine. The ban was specifically in respect of codeine as an active pharmaceutical ingredient for cough preparations. The directive came on the heels of an addiction crisis exposed by the BBC in an undercover film. Nigeria’s ports are known to be one of the main routes through which contraband and other illegal materials get to enter Africa’s most populous nation.